4 exposure shots taken during the totality blended to make this HDR image with show the details of small coronal loops and largers arcs. 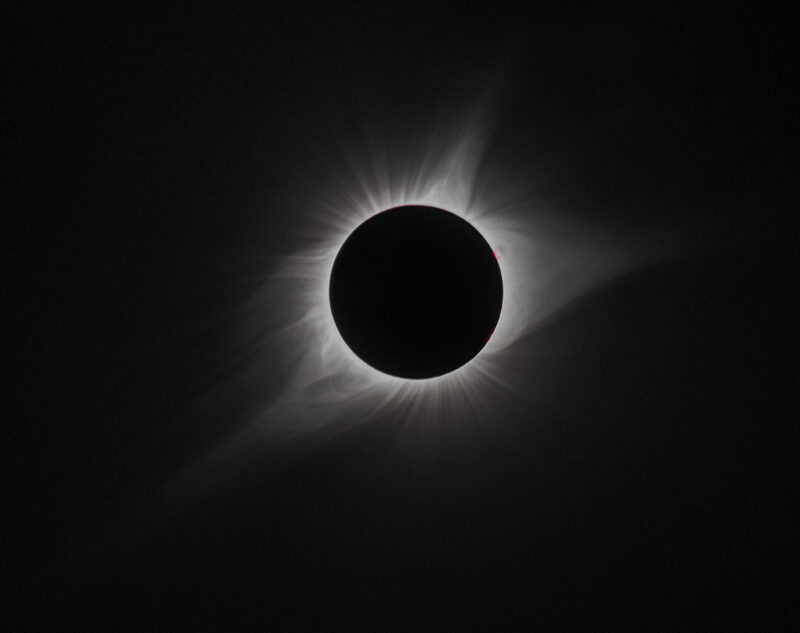 The cherry on top of that is definitely those flares and prominences that were visible with the naked eye during totality. What an incredible experience.